In today’s time mobile is ruling the roost and it overtook desktop as the primary medium to access information. Mobile Marketing tops the quarterly or yearly budget spend list around the world. Enterprises failing to recognize the power of mobile phones will surely be left behind in this highly competitive market. Now businesses just can’t create a website that supports desktops / laptops but also other hand-held devices such as smartphones and tablets. Even Google’s new algorithm encourages businesses to think mobile first. Simplicity should be your go-to mantra in creating a mobile-friendly website. Whether it is a desktop site or a mobile site, places which are overloaded with content receives the highest bounce rate. So keep it really simple, the more minimal the better and easy navigation for the end user. Finding an answer to the purpose of designing a mobile application or a mobile website should give you a good head start towards designing it. It is all about helping your users to find what they need with minimum fuss. Try avoiding excessive pages, as we said earlier the more less the better user experience. First impression is the best impression. A user never wants to see a desktop page on his mobile, it becomes a tedious experience and he may never return. So when they enter your URL, usually the server identifies the platform from which it is being accessed, but you have to ensure that mobile visitors are redirected automatically to the mobile site. Having the right context on your mobile site makes sense. Mobile visitors and desktop visitors are completely different. Desktop users have more time whereas mobile visitors are looking for immediate information and are prime candidates for making a transaction on the mobile site, and whoever provides the information first and without much hassle will win the user confidence for sure. We will really stress the word ‘short’ a lot of times here. Better ingrain the word ‘short’ as a default vocabulary in your meetings and other conversations while creating a mobile website or a responsive web design. Having a lot of text inputs the age of tablets and smartphones where people don’t bother typing more than 140 characters. Even while creating a form like sign-up or log-in page keep it minimalistic like login/email and password, additional fields will unnecessarily reduce user satisfaction. Believe us your font size a lot more important than what you think of. Your font size should be 14px -16px for your mobile site to be user-friendly. You might feel it is a bit big, but it will help your users a lot as you don’t want them to zoom in and out of your page time and again. You can for lesser font size like 12px only labels or forms.For buttons, usually bigger the button the better – as it reduces the chance of your users missing the button entirely or hit something else by mistake. In fact, Apple and Android design guidelines recommend the button size to be 44px by 44px. Try maximizing your user’s experience on the mobile device and increase conversion rates. After developing and designing your mobile website the last step which is very crucial is to test for compatibility on range of devices. Define the range of devices that you need to test your mobile website on and check for optimum performance. 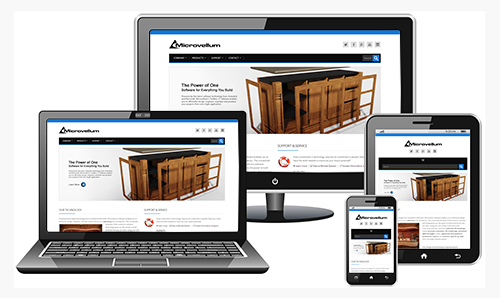 Your mobile website should be compatible with various devices, screen resolutions and operating systems. By following the above-mentioned guidelines, your design for your mobile website will be much easier and will be user-friendly.